Giveaway! 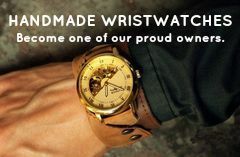 Custom Leather Cuff Home | About Us | Opportunities | Sponsorships | Contact Us! Closed! Winner has been announced! 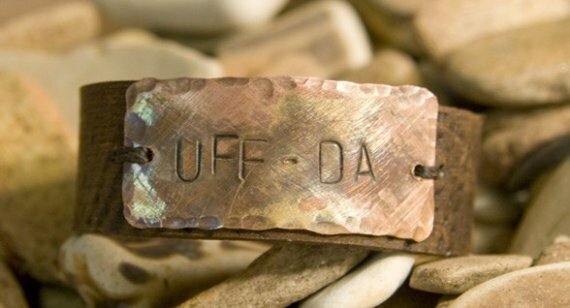 Cuffs are all the rage right now, and Michelle Verbeeck has taken them a step further by crafting fine handmade leather cuffs that feature customized quotes and sayings on metal plates. These cuffs are the perfect compliment to any man’s style, and they are truly the perfect gift for the stylish guy who already has some version of every jewelry style already out there. Uff Da! Drats In Norwegian! 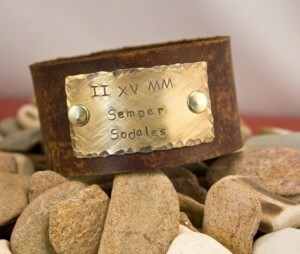 The lucky winner will get their choice of any metal plate quote cuff in any size available Michelle’s shop. The winner will also get to customize their metal plate with a saying or quote of their choosing! This is a truly generous giveaway and we’re already jealous of the winner! Use the entry box below to get in on the giveaway! 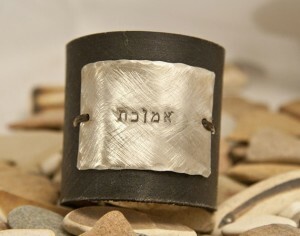 While you’re waiting for the winner to be announced, go get some ideas for your own cuff by visiting Michelle’s shop! Click the banner below now! The sponsor of this giveaway is responsible for fulfilling it once a winner has been announced. Where applicable, all of the opinions expressed in a giveaway are those of its respective author. We do not accept payment or product in exchange for positive reviews, ever. Tagged cuff bracelet, etsy, giveaway, leather bracelet, mens jewelry, Michelle V Designs, Michelle Verbeeck. Bookmark the permalink. Hooray! Thanks so much for having this awesome giveway and thanks to Michelle for making such amazing work! I’d love the word “saved” in Hebrew. There are quite a few things I would want my cuff to say, but I believe I would go with “Not all those who wander are lost.” Cliche? Perhaps. But I can’t help feeling that particular quote was meant for me. On a side note, I absolutely love – and have loved for a while – Michelle’s shop!